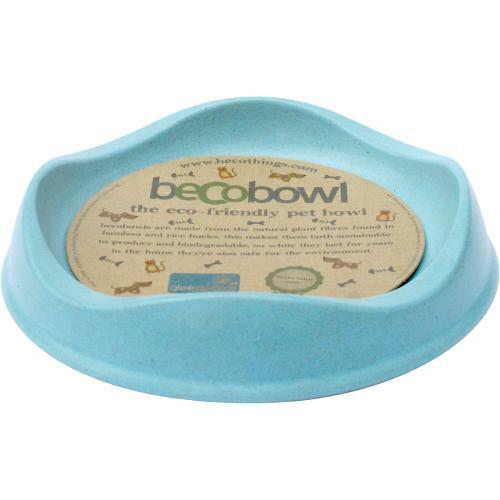 BecoBowls for cats and puppies have a much lower rim, to make it easier for pets to get at their food. Cats also don't like it when their whiskers touch the sides, so these bowls make dinner time easier! Becobowls are made from the natural plant fibres found in bamboo and rice husks, this makes them both sustainable to produce and biodegradable. So while they're dishwasher safe and will last for years in your home - they're also totally safe for the environment! Rosewood Stainless Steel Shallow Puppy Pan Dog Bowl 6"